Let me preface this by saying that there are some exceptionally competent appraisers out there whom I respect a great deal, and who do terrific work. As with most things in real estate, and in life (apparently I am feeling “preachy” today) things are rarely perfect. The world of appraisals is no exception….BUT……plain and simple the whole appraisal industry is flawed. The number one reason we see pending transactions fall apart in today’s market is appraisals. What has happened post subprime crisis is that regulations have tightened up dramatically, to the point where appraisers can have ZERO contact with lenders. I have no issue with this, but there needs to be some way for there to be checks and balances on the appraisal when a transaction is hanging in the balance. The 2 major causes that skew the accuracy of appraisals is locality, and the fact that as with any market, the real estate market changes in real time. Micro-Locality of real estate markets…. Far too often I see appraisers who come in from out of the area and simply do not understand the idiosyncrasies of a local market. (like Back Bay, for instance.) I once had a guy ask me at the appraisal if the parking space was worth $20K or $25K (for a place in Back Bay). My reply was, and I used to do property valuation in Brisbane, Australia, that it was more like $75 – $100K! He wasn’t even close to “market value”. Had the property been on lockbox and accessed solely by the appraiser, where no one was there to answer the question, a major issue could have come up. This is a microcosm of a far greater issue. Too often the appraiser that gets assigned (via a conduit appraisal management company hired by the bank) simply is not qualified to value a property due to lack of specific market knowledge. On top of that, the appraiser is given the agreed upon purchase price BEFORE they issue their valuation. This makes no sense to me. It is like giving someone the answers to the test before they take it. I guess they’re assumed to be smarter than the action of a functional market. The ever changing real estate market…. Well, the real estate market is the same way…especially our current market. To use sold comparables from 6 months ago (really reflective of market activity from 7 to 8 months ago), often does not apply. I have seen appraisal issues with a property that was on the market for 3 days, had 10 offers, went under agreement and then the appraisal undervalued it. If multiple offers in a matter of days is not indicative of true market value then nothing is. No one likes a complainer who offers no possible resolutions, so I suppose I need to make some suggestions to change these inefficiencies. Since I will not be running for office and looking to file legislation for change (my past is far too checkered! ), here’s at least a start at some suggestions your broker can do to solve the problem. A real estate broker involved in the deal should be pro-active. Make sure you go to the appraisal for your client, and come armed with the 3-6 best comps that will support the purchase price. Use current under agreement as well as sold properties to support your case. 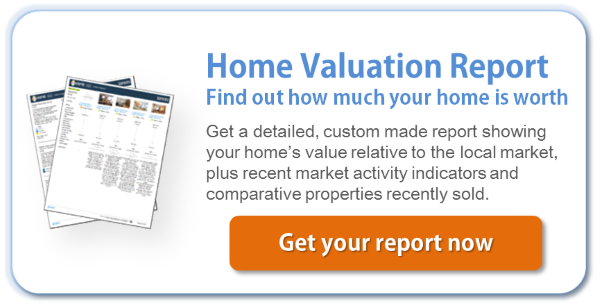 Ensure you can explain the overall market to an appraiser who may seem a novice to the area. Talk to PT about the appraisal process or anything else involved with selling your home. ← What is a Buyer’s Agent? I feel technological know-how just makes it worse. Now there is a channel to in no way care, now there would not be a probability for them to find out. I believe engineering just causes it to be worse. Now there is a channel to under no circumstances care, now there will not likely become a chance for them to find out.